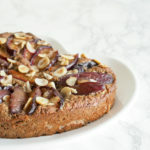 Nut 'n plum cake - NOURISH TO PERFORM. When temperatures fall and the first leaves turn yellow, we all know: summer is over. 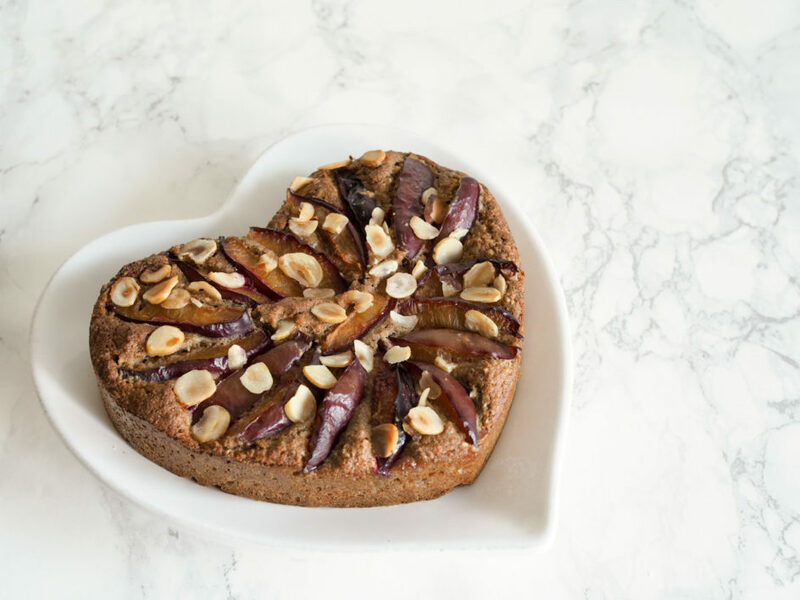 To welcome autumn’s first signs, I made a nut and plum cake with my grandma’s plums. Every year we are happy to harvest apples and plums form old trees who have probably survived and seen so much more we ever will. Those fruits have never seen any chemicals and none knows what type they exactly they are. But one thing is sure: they make my taste buds happy every time I take a bite of a juicy apple or plum. You can’t compare them with any store-bought apples or plums. They taste intense and so pure. In combination with nuts and almost christmasy spices like cinnamon, orange peel and vanilla they make the perfect autumn cake. Ripe fruit reminding you of the sun that has shine all summer long and the spices reminding you of what is going to come. For the vegan folks out there, I provide a vegan solution in my notes below the recipe. Of course, I want all all of you to have the chance to celebrate falling leaves and sweater weather with me! Preheat the oven at 180' C top- and bottom-heat./Den Ofen auf 180 Grad Ober-/Unterhitze vorheizen. Mix ground almonds, ground hazelnut, ground chufa, egg yolk, baking powder, baking soda, spices and sweetener with nut milk./Gemahlene Nüsse, Erdmandelmehl, Gewürze, Backpulver, Süße und Natron mit Eigelb und Nussmilch verrühren. Whisk the egg white until stiff and fold into the dough./Das Eiklar steif schlagen und unterheben. Fill the dough into a pan (I'm using a small heart which is probably the same size as a 16 cm spring pan) and plum slices and flaked hazelnut./Teig in Form (ich verwende eine kleine Herzform, die in etwa einer 16cm Silikonspringform entspricht) füllen und Pflaumenscheiben und gehobelte Haselnüsse darauf geben. Bake for about 30 minutes./Für etwa 30 Minuten backen. Instead of using an egg you can also use unsweetened apple sauce (about 60g).